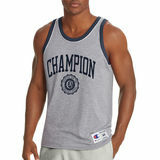 Mens Tanks are a summer favorite paired with jeans or shorts and don't forget the flip-flops. 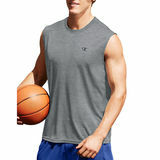 Feel cool and comfortable with our tank tops for men. Mens Tanks are available in many colors, graphics, prints and styles. Use Men's tanks to add layers and stay comfortable and warm.Most of our tanks are made of 100% cotton,and available in standard sizes up to XXXL. Tank Tops are ideal for all your casual and athletic activities, such as exercising at the gym,working in the yard, or walking the dog in the park. Men's Tank Tops aren't just for summer, they are great to wear all year around under shirt or alone for just hanging out.Stay cool in style with Men's Tanks.